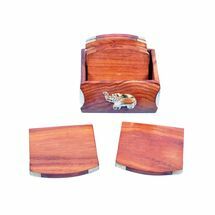 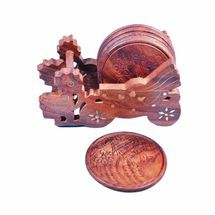 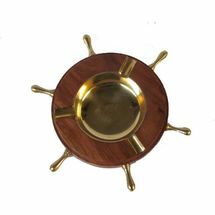 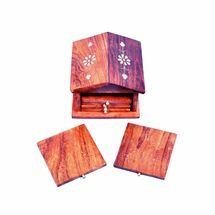 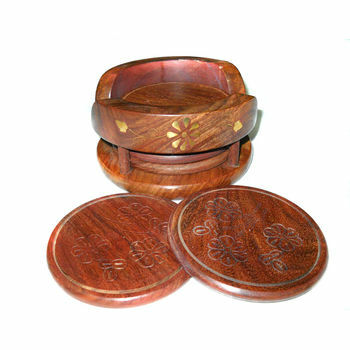 Beautifully hand carved with brass inlay work round shape design wooden coasters set is a compatible coaster set. 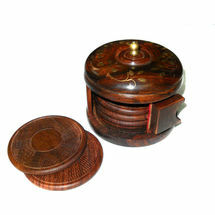 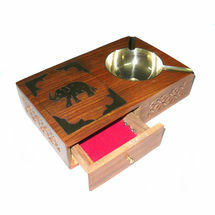 Its compatible round shape can make it adjust even on small table where you don't have much space. 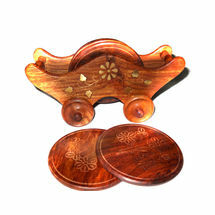 This comes with 6 nos of 3 inch hand carved wooden coasters and one round shape coaster stand. 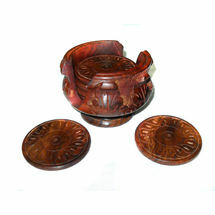 This is a nice to have product for your dining tables, does not matter how big your table is.